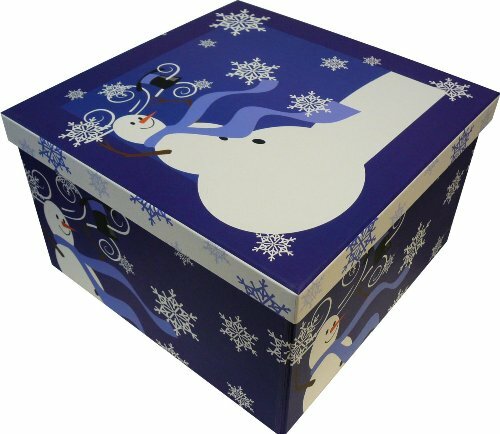 Our sweetest snowman is a quite the charmer surrounded by snowflakes that decorate this adorable care package gift box. Lift the lid to discover the treats inside, from warming cocoa mix to gourmet cookies and candy Santa is sure to enjoy if put under the tree Christmas Eve! It makes a perfect present for any snow lover, and is a great holiday thank you gift for your friends or co-workers at the office. Each basket is hand crafted with attention to detail, shrink wrapped and tied with a bow for presentation, ready for gift giving. 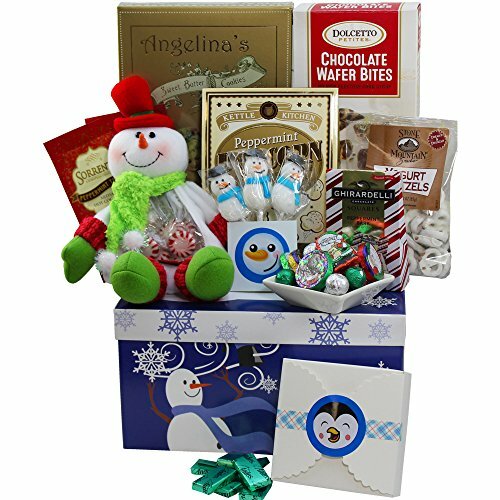 Add a personalized message with your order by selecting gift at check out.Our sweetest snowman is a quite the charmer surrounded by the snowflakes that decorate this adorable care package gift box. Lift the lid to discover the treats inside, from warming cocoa mix to gourmet cookies and candy Santa is sure to enjoy if put under the tree Christmas Eve. It makes a perfect present for any snow lover, and is a great holiday thank you gift for your friends or co-workers at the office. Include a personalized gift message by marking this as a “GIFT” during check out.